“Attitude Prime” was founded and brought into existence in 2010 by Dr.Gladson a “Sports Physiotherapist” and a staunch visionary to spread the word of hope that “Exercise is Medicine”. Dr. Gladson Johnson is a practicing “Sports & Musculoskeletal Physiotherapist” for past 12 years. An active Bare Foot Marathoner and Triathlete from past 5 years. 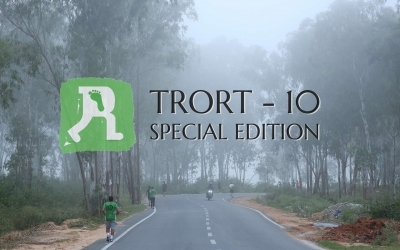 Thank you for making TRORT 10 Special Edition successful. By being part of this event you have also contributed to the needy in the society and have also helped them reach better heights. This year our proceeds goes to CHILDREN OF KRISHNAGIRI and SNEHAGRAM. Looking forward seeing you all in TRORT 011 with pleasant tough surprises. God bless you all. 26 years ago when I came to India for the first time(being born and brought up as an NRI) something caught my attention so surprisingly. My siblings were charmed about the greenery India had while I was amazed and thrilled by the sight to see all my villagers carrying their daily activities in “Bare Foot”.Right from traversing on the grassy meadows to the rocky hills all in my village young, old, men & women treaded barefoot. It was something which my mind could neither conceive nor ignore. How is this possible? Was the constant question my urban brain kept asking my rural mind. With an all-time high number of runners present in the arena it’s a very encouraging sign to see people evolving towards a better lifestyle. In this article, I would like to expound on shoe selection for better running comfort. Remember the main purpose of wearing a running shoe is for protection and comfort while running and not for performance enhancement. And you should also know that you need to buy a pair of shoes which fits your feet and not try to fit your feet in any shoe. 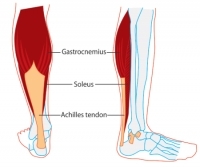 You need to know that the wrong selection of footwear might strain the joints of the leg and may lead to various injuries. I am sure you are wondering what I am talking about. 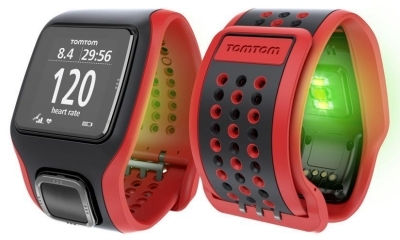 This time I am going to talk about the business of running. Very often I get to see runners getting involved in the business of running with the wrong trade strategies and suffering losses (injuries). So let’s get to the basics of this business (running). As we all know running is an endurance sport, which means it is an activity carried on for longer duration. Such is the nature of the sport that the only return from it is “endurance”. What we don’t get by running is “strength” & “flexibility”. Hence, a good “strength & flexibility” program is essential to back up all the running one is doing to ensure injury-proof running. 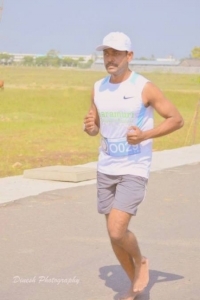 Since running is catching on like never before, it is time we evolved along with the science behind running, which can better our fitness and health standards. 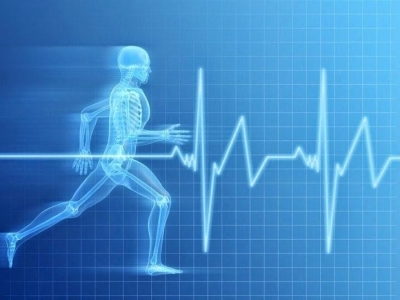 Training itself is a process to adapt our body towards any particular sport or lifestyle. Physical training like weight training, pilates etc. works on strengthening the movement of the musculoskeletal system. Yoga, on the other hand, tremendously improves flexibility of the musculoskeletal system. We should not forget that the musculoskeletal system derives energy, to sustain all activities, from the “Cardio vascular system”. 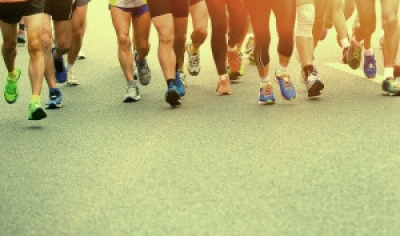 Gone are the times where there really was a scarcity of finely organized marathon events. We have come to times of abundance of events very often leaving a runner in confusion which one to participate. It is a definite encouraging sign that the numbers of events coming in new are proportionate to the swelling numbers of new runners. As madness kicks in along with the high of the sport it is definitely an individual’s responsibility to make the sport safe. Let me throw in light on the safety parameters one need to follow to make the sport more sustainable and enjoyable. It is sometimes difficult for us to accept that nature has everything in it for itself. But the truth is ‘YES IT DOES’. 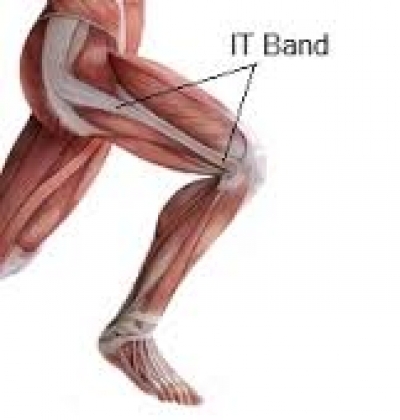 Today in this story I would like to throw light on how the “Illio Tibial Band’ shortly called ITB acts like a natural brace to the knee and how, when not properly trained, could be detrimental to the health of the knee.